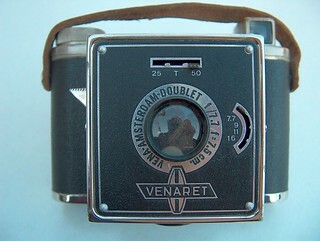 Vena was a short lived, Dutch camera maker. Shortly after WW II, it produced simple box cameras. The Venaret is the most common model. A Venaret at Kurt Tauber's cameramuseum. This page was last edited on 18 June 2015, at 10:44.